GOES: Geostationary Orbiting Environmental Satellite Satellite (~36,000 km altitude) period ( 24 hours for each orbit) Always above same location. Must. 1 GOES: Geostationary Orbiting Environmental Satellite Satellite (~36,000 km altitude) period ( 24 hours for each orbit) Always above same location. Must orbit at 36,000 km near the equator so it is hard to get a detailed image of Earths surface. Good for big picture and helps forecasters assess the general state of the weather. 2 POES: Polar orbiting satellites. (~840 km altitude) Period (~100 minutes for each orbit) Much more detail in images. 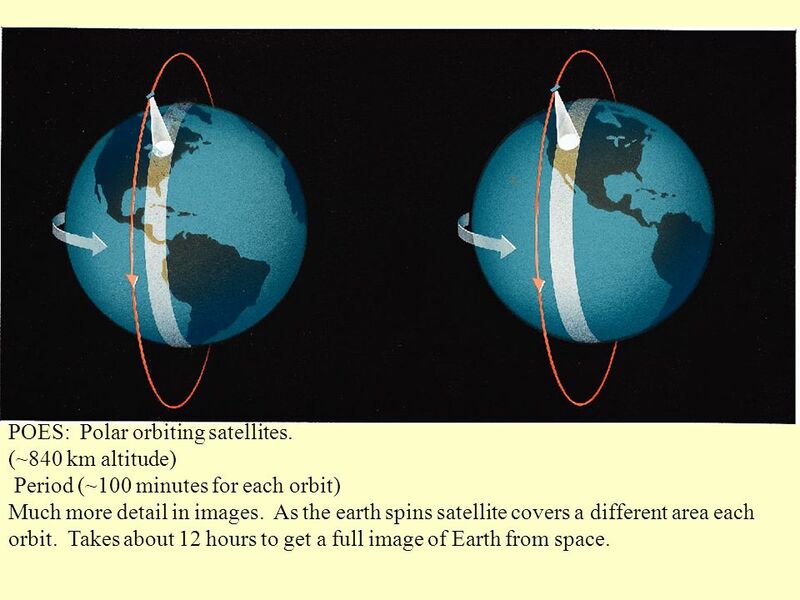 As the earth spins satellite covers a different area each orbit. Takes about 12 hours to get a full image of Earth from space. 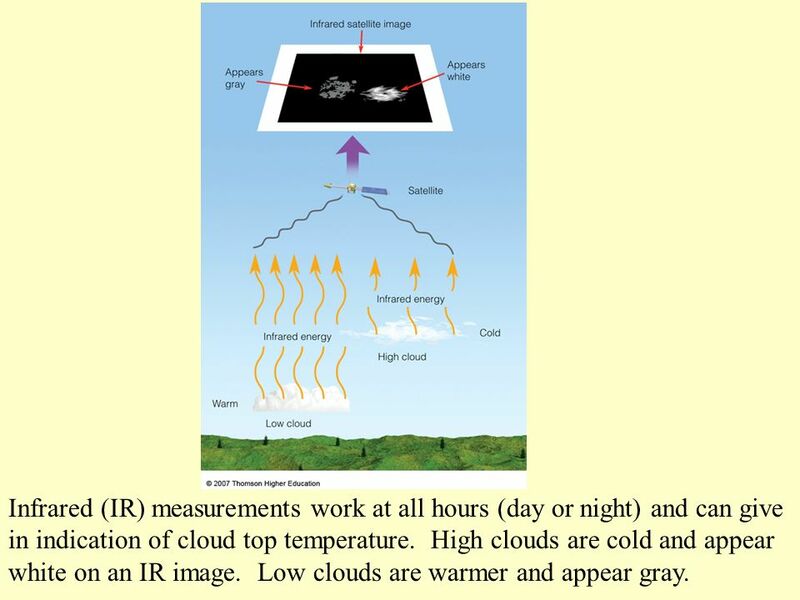 3 Infrared (IR) measurements work at all hours (day or night) and can give in indication of cloud top temperature. High clouds are cold and appear white on an IR image. Low clouds are warmer and appear gray. 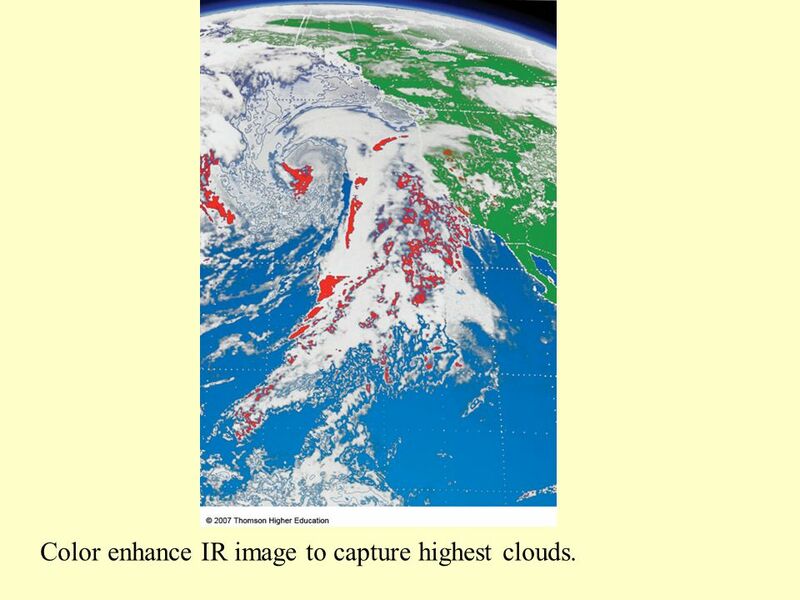 6 Color enhance IR image to capture highest clouds. 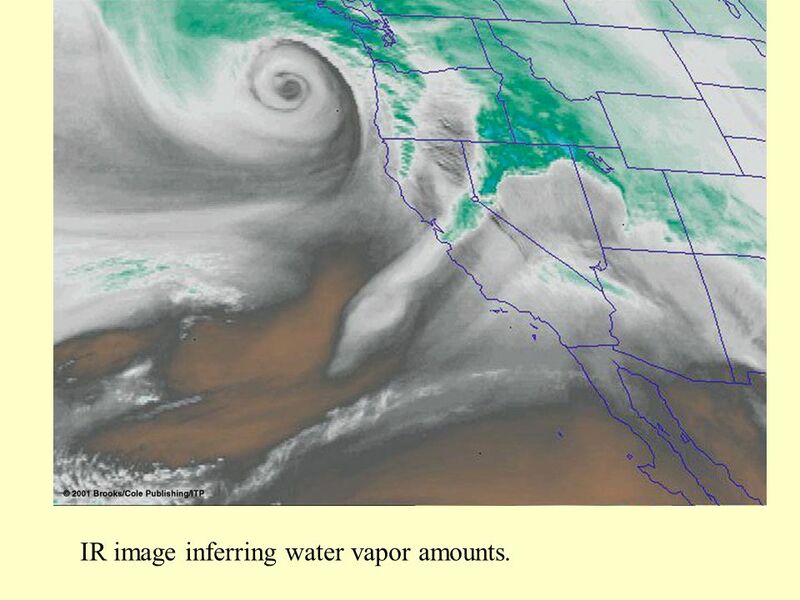 7 IR image inferring water vapor amounts. 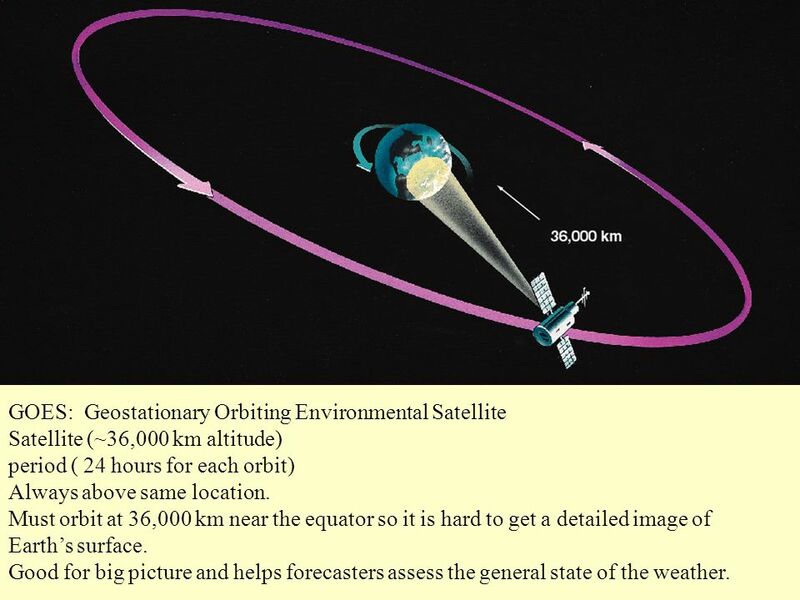 Download ppt "GOES: Geostationary Orbiting Environmental Satellite Satellite (~36,000 km altitude) period ( 24 hours for each orbit) Always above same location. Must." Image Interpretation for Weather Analysis Part I 29 October 2009 Dr. Steve Decker. Characteristics of the Moon Earth Science Lesson 2 TEKS5.12A & 5.6A. Satellites Smaller bodies orbiting larger ones. How big are satellites? ► The moon is a satellite of earth ► The earth is a satellite of the sun ► A satellite. Satellite Interpretation Tutorial and Examples. Visible Satellite (VIS)  The visible channel of the satellite measures light using the same wavelengths. Atmospheric Optics - I. Recap Condensation above the Earth surface produces clouds. Clouds are divided into 4 main groups: ♦ High ♦ Middle ♦ Low ♦ Clouds. Accessing and Interpreting Web-based Weather Data Clinton Rockey National Weather Service Portland, Oregon. 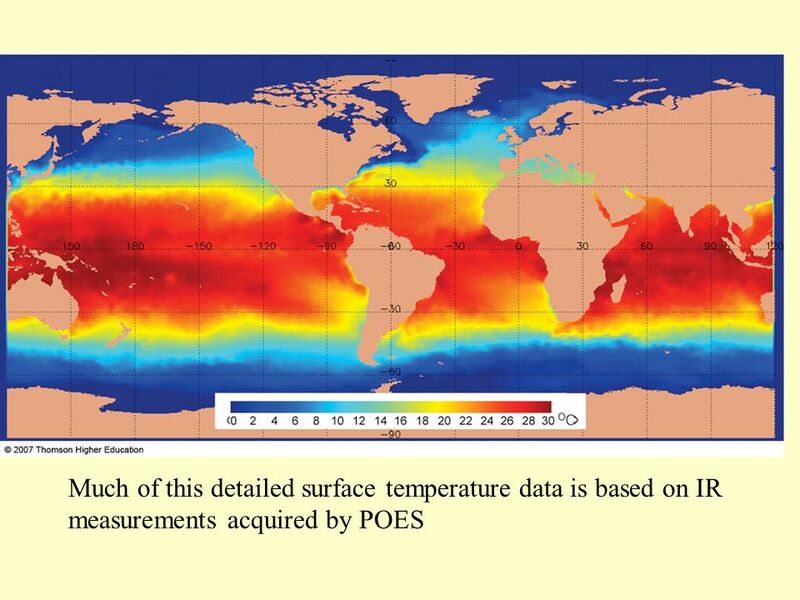 Weather Dynamics in Earth’s Atmosphere. An atmosphere is a blanket of a gases surrounding a planet. Earth’s atmosphere has distinct layers defined by. Satellites, Weather and Climate Module 1: Introduction to the Electromagnetic Spectrum. 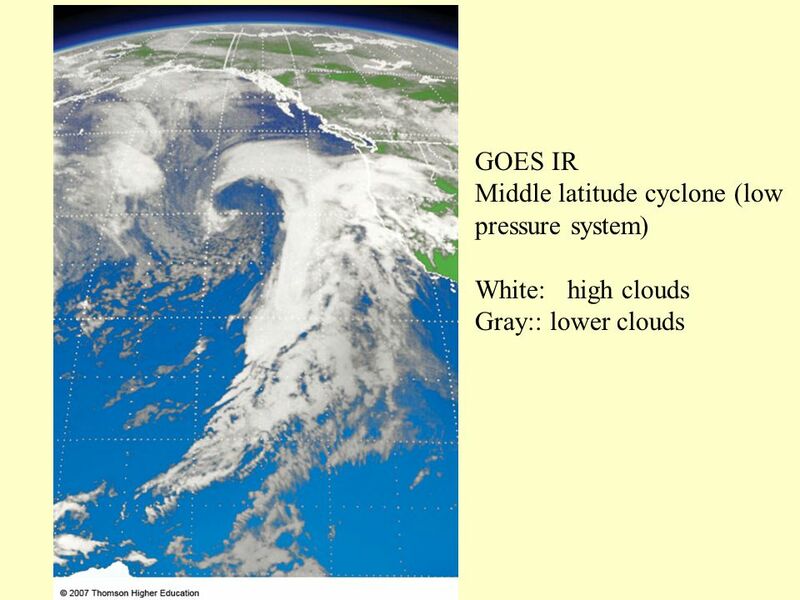 Visible and Infrared (IR) Weather Satellite Interpretation 1. 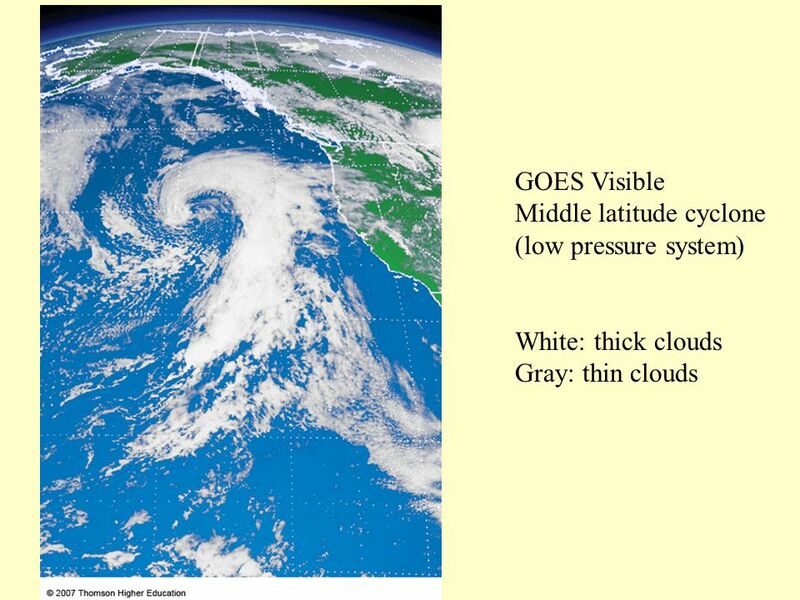 Visible satellite images are coded from black to white according to the amount of reflected. SCIENCE NEWS Magnitude CENTRAL ITALY Magnitude CENTRAL ITALY. Satellites and Radar – A primer ATMO 203. Satellites Two main types of satellite orbits – Geostationary Earth Orbiting Satellite is 35,786 km (22,236. 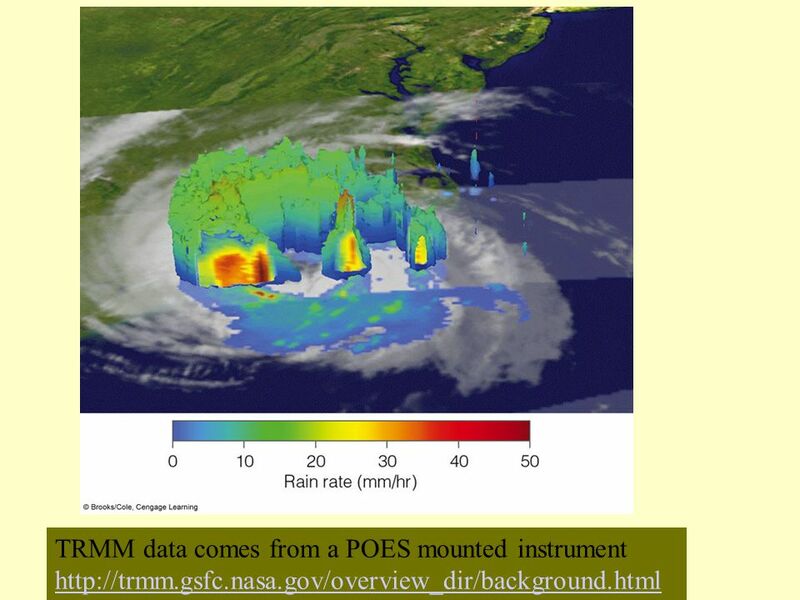 Image Interpretation for Weather Analysis Part I 21 October 2010 Dr. Steve Decker. Satellite Imagery Meteorology 101 Lab 9 December 1, 2009. Image Interpretation for Weather Analysis Part I 11 November 2008 Dr. Steve Decker. Climate Change 1020 Lecture Oct 16, 2006 Lis Cohen. Satellite Imagery Another type of “remote sensing” observation.